At the market recently a spectacular bunch of radishes caught my eye. They looked so freshly picked and perky—as if they had just been uprooted, given a quick rinse, and perched on the shelf. These weren’t your typical tired little radishes, they were massive, brilliant globes of color ranging from white to deep magenta. Their name, Easter Egg radish suits them well. I wondered, were these all show? Sometimes large varieties concentrate all their energy on producing size and can be bland, perhaps pithy. But, the price was right, so I took a gamble. I couldn’t wait to head home and try one with a dusting of sea salt. Ah, yes, they were crunchy-crisp and mild—I immediately imagined them in a lentil salad made with firm, gorgeous le puys. Once the lentils were cooked and cooled, about 30 minutes later, I added a drizzle of dressing and a smattering of fresh herbs, a handful of feta cheese, a little zip of preserved lemon (of course, you have some waiting in the fridge from the posting here), and folded in the chilled radishes. Serve the salad at room temperature or lightly chilled. If made ahead and refrigerated, it will hold 2 to 3 days. It’s filling enough for a lazy light meal or in tandem with chilled shrimp or grilled salmon and a squeeze of fresh lemon. Rinse 1 cup lentils and simmer in 2 cups water for 20 minutes until soft but still firm; drain and cool. Combine the dressing; whisk or shake well, and set it aside. In a bowl combine all ingredients, add enough dressing to coat well, and toss lightly. Serve at room temperature or chill. Serves 4 or more. Wonderful recipe. 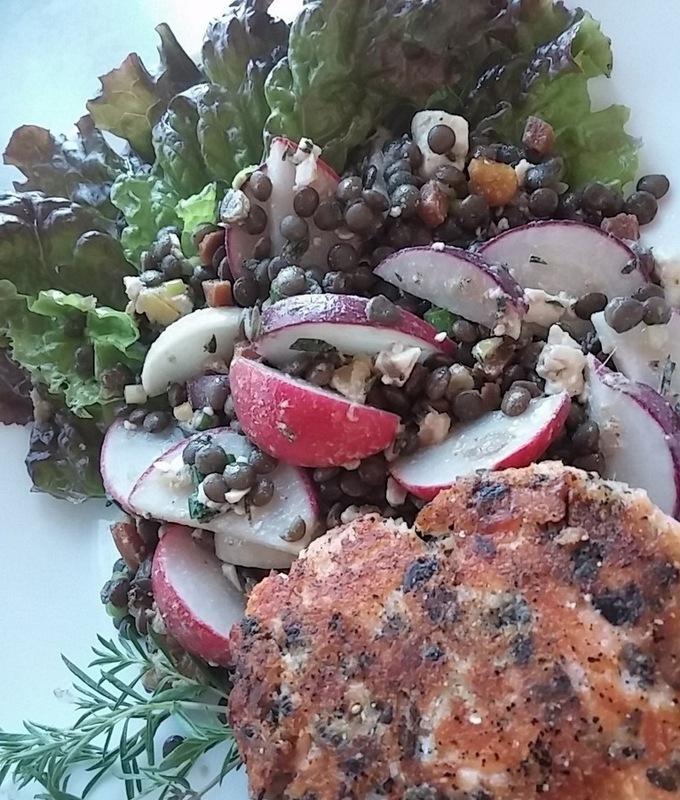 I love radishes and am always looking for new ways to use them. Thanks for this! 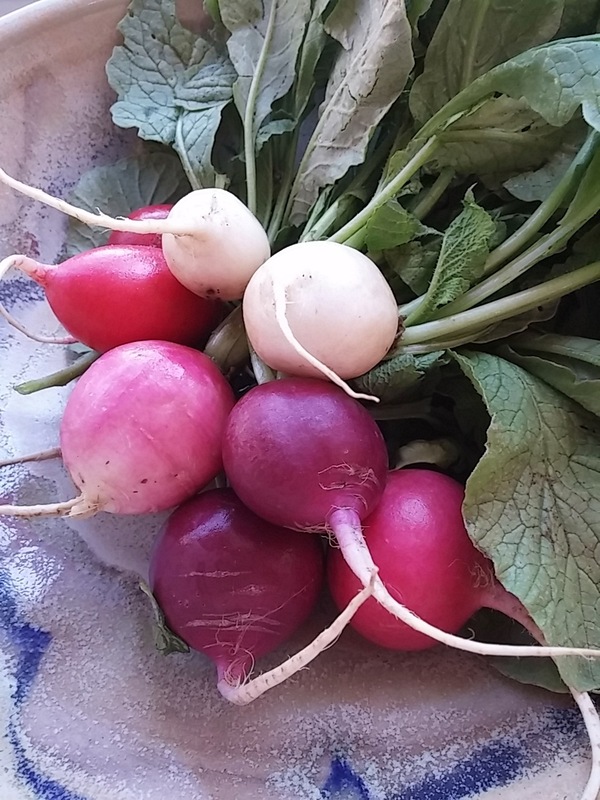 I agree, you can’t beat a good radish, and we should eat more of them. Enjoy!